Golden Triangle with Kolkata Tour or Delhi Agra Jaipur with Kolkata Trip is specially designed for the travelers interested in visiting and exploring diversity of north India and east India cultural heritage. This tour is characterized by north Indian Hindu temple architecture (‘Nagara shilp’), Mughal monuments, mammoth & majestic Rajput forts and palaces, early colonial heritage, east Indian temple architecture (‘Vesar shilp’-Bishnupur) and rich lineage of crafts. Most of the foreign travelers land at Delhi airport late evening. You will be greeted at Delhi airport by our representative and taken to New Delhi hotel. Delhi , the capital city of independent India is a historic and ancient city – believed to be site of the Indraprastha, the capital of the Pandavas of yore, and also that of many dynasties, especially in the medieval ages who vested it with the status of the seat of imperial power during their reigns. ‘Old Delhi’ was the most prominent seat of power of the dynasties of the ‘Sultanates’ and the Mughal – even though some other earlier era Hindu kings and kingdoms also had their capital at or near Delhi – and their emperors and nobility made it their home. Later British developed it their capital. Many monuments of colonial era in New Delhi can easily be seen. Present Day Delhi is a rapidly growing metropolitan and cosmopolitan city. Truly, Delhi is a city and place reflecting and showcasing India’s past, present and future and its monuments, landmarks, places and centers of power, industry, trade and commerce, etc. – some old and some recent and new – display that to the fullest. Our representative will ensure express check in at the hotel. Evening is free for leisure and overnight stay has been planned in the hotel. The sightseeing tour will commence today. Delhi tour guide, scheduled to collect you from hotel’s lobby, will take you on Delhi exploration tour. For the ease of understanding and seamless routing, the Delhi sightseeing is divided into two parts- Old Delhi & New Delhi. First, you will proceed to visit Old Delhi. Old Delhi and its lanes and by- lanes even today, take a visitor back to some of the ways of living, charm, etc. of the times and people of the era of the old dynasties. Some of the monuments of Old Delhi include the magnificent and fabulous Red Fort – now a UNESCO world heritage site, built by Mughal king Shah Jahan from which, today, free and independent India’s prime ministers annually address their nations on India’s Independence Day. Other sites of historic Old Delhi include Chandni Chowk, literally meaning ‘moonlit square or market’ which is one of the busiest market areas even today and where a bargain hunter can enjoy his day under the sun, Daryaganj, which served as a kind of warehouse and market, back in those times, the Jama Masjid, an old heritage mosque, etc. Narrow lanes and alleys of Chandani Chowk can be seen more closely while you enjoy a manual rickshaw ride. From Old Delhi, now you proceed to New Delhi. On the way you visit Raj Ghat, the memorial to Mahatma Gandhi. Constructed amidst a sprawling garden on the banks of River Yamuna, it is a simple black marble platform that marks the spot of his cremation on 31 January 1948. New Delhi has lot many architectural gems of ancient, medieval, colonial and modern era. New Delhi monuments include the famed Qutub Minar, which was built in 1193 by Qutab-ud-din Aibak, to commemorate his victory over the Hindu Raja of Delhi at that time and Humayun’s tomb, built by Mughal king, Humayun’s senior widow Bega Begum in 1565 A.D., nine years after his demise. Delhi could well be called as the city of monuments – older and newer – as it was, has been and is the capital of a nation. Thus, the many other monuments in Delhi include Lodi’s Tomb, Safdarjung Tomb, Purana Quila, India Gate – which is a memorial for the 70,000 Indian soldiers who lost their lives fighting for the British Army during the World War I and many more. 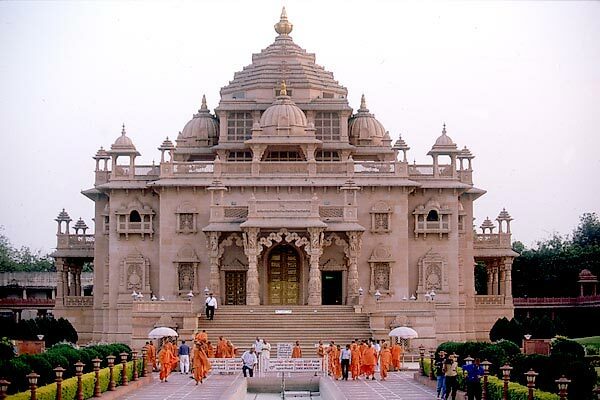 Other places of great interest for a tourist or traveler to Delhi are the Akshardham Temple – constructed by Sri. Swami Narayan’s devotees and dedicated to Indian architecture, culture, spirituality etc., the Bahai Temple (Lotus Temple) – consecrated as a place of worship for all major faiths and built with pure marble and shaped in the form of a big lotus flower, Parliament House, Rashtrapati Bhavan (literally the ‘House of the President’) , the many bustling markets of Delhi, and many more. After full day sightseeing and market exploration, during its course, return to Delhi hotel for overnight stay. Having enjoyed scrumptious breakfast in Delhi hotel, depart for Agra. After four hours drive reach at Agra. You will be directly taken to Agra hotel where our representative will greet you and assist in your check in. 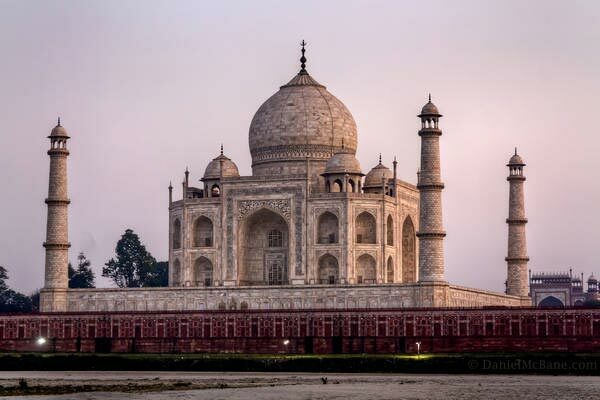 ‘Agra‘, a UNESCO world heritage site, is without doubt ‘the site and the place’ associated and linked with India the most, by most international tourists and visitors to the country. It could even be said that, in the minds of many foreign tourists, Agra and the Taj Mahal are to India what the ancient pyramids are to Egypt. But, it is also true that Agra is indeed a town and city which is ancient and finds mention (as ‘Agravana’) in some of the ancient Indian texts (the Mahabharata). In more modern times, the city finds mention as a city founded by Rajput warriors and kings. Recorded history of course, testifies that it was the capital of some of the Lodi kings and later the Mughal Empire for a long period of their reign. Our representative will introduce you with Agra tour guide. After relaxing a bit, move for visiting world famous monuments of Agra, including the Mughal era fort, tombs of various kings, nobles, masjids, etc. belong to and were built during the Mughal era. The‘ Taj Mahal‘ is itself the delicately and beautifully architected, built, carved, embellished and ornamented marble mausoleum that Emperor Shah Jahan conceived and built in memory of his beloved queen and wife, Mumtaz Mahal, on the banks of the river Yamuna. Other historical monuments and wonders in Agra which would delight any visitor, tourist and student of history include the Agra Fort‘ (also a UNESCO world heritage site), Jama Masjid, Baby Taj (Tomb of It-Mad-ud-Daula) , Chini Ka Rauza, Mariyam’s tomb, Sikandara (the tomb of Emperor Akbar), Mehtab Bagh, and many modern temples of Hindu, Sikh and Jain persuasion. In the present times, Agra city is the capital of the district, which goes by the same name, Agra district, in the state of Uttar Pradesh. Depending upon your interest and time-available, you can visit Dayal Bag Temple, a marble marvel with work in progress since last 100 years. After full-day sightseeing of Agra, explore colourful market and later on return to hotel for spending evening in leisure and have overnight stay. Have leisurely breakfast in Agra hotel and depart for Jaipur, the Pink City of Rajasthan. On the way to Jaipur, you will be shown two historical monuments and highly coveted tourist destinations of India- Fatehpur Sikri and Abhaneri. The first stop-over will be at Fatehpur Sikri, about 35 kms from Agra. Fatehpur Sikri is a famed historical town in Agra district of Uttar Pradesh. It was built by Mughal king Akbar, at age 28, to serve as his capital city, after his seventh attack on Sikrigarh, a fort and a palace located close by and held by Rajput kings, led to his victory (‘Fateh’ in Persian) there. This well planned, walled city’s entire architecture, structure and construction were conceived, planned and executed under the direct supervision of the young king. The young emperor also chose this site and place in particular for his capital city, as it was in proximity to Sikri village, the place of residence of the Sufi mystic, Sheikh Salim Chishti. The city combines elements of both Hindu and Islamic architecture and is built with red sandstone and is highly ornamented with carvings, embellishments, etc. The walled city has a series of royal palaces, harems, courts, a mosque, private quarters and other utility buildings. The other main parts of this historical walled city are the Diwan-I-Am, the first enclosure of the palace, Diwan-I-Khas, a chamber or hall for private audiences and the Pachisi court, a live game (the game of Pachisi) board. After visiting Fatehpur Sikri, move for Jaipur. About 77 kms prior Jaipur is an ancient village of Abhaneri that is famous for its baori (Chand Baori)- an system of water harvesting and conservation- and 10th century temples and sculptures. It will be a feast to your eyes. After visiting Abhaneri, proceed for Jaipur. On arrival at Jaipur, our representative will receive you and take you to pre-booked Jaipur hotel. Jaipur is the Pink City of Rajasthan. This city was founded in 1727 AD by Sawai Jai Singh II. Jaipur is the capital city of modern-day Rajasthan state and is popularly known as the ‘Pink City’. The city has broad avenues and spacious gardens and is steeped in history and culture. Its past comes alive in its magnificent forts and palaces, blushed pink, where the maharajas once lived. The bustling bazaars of Jaipur, famous for Rajasthani jewellery, fabrics and shoes, possess a timeless quality about them and are surely a treasure trove for the shoppers. This fascinating city with its romantic charm takes one to an epoch of royalty and tradition. Jaipur is 260 km from Delhi and 240 km from Agra and constitutes a part of the ‘golden triangle of Delhi, Agra and Jaipur’. It is a bustling business center with all the trappings of a modern metropolis, but yet retaining an age-old charm that never fails to surprise a visitor and traveler. Jaipur sightseeing tour will commence a bit early in the morning, soon after the breakfast. Jaipur tour guide will first take you to visit three famous forts of Jaipur- Amber Fort, Jaigarh Fort and Nahargarh Fort. Amber Fort visit will be made memorable by enjoying ‘maharaja-like’ elephant ride from the foothills of Amber to the main gateway of the fort, at the hilltop. The old Jaipur painted in Pink can easily evoke any visitor’s admiration. The stunning backdrop of its ancient forts, Nahargarh, Amber, Jaigarh and Moti Doongari are apt testimonials of a bygone era and a reminder of their lingering romance and chivalry. One of the most magnificent marvels of Jaipur is the City Palace Complex, which is a rare combination of the finest blends of Rajasthani and Mughal architecture. The famous places to visit in the Pink City are Jantar Mantar, Hawa Mahal, Jaigarh Fort, Nahargarh Fort, Amber Palace, etc. Many royal festivals – apart from the religious festivals – are celebrated in Jaipur and these include the Elephant Festival, Gangaur, Teej and Kite Festivals. After sightseeing of Jaipur, explore bustling market that is famous for its handicraft articles, durries, carpets, jewellery and textiles. Later on, return to hotel for overnight stay. Early in the morning, have sumptuous breakfast in Jaipur hotel and check out to move for Sanganer Airport of Jaipur to board flight for Kolkata. Kolkata is the second largest city of India. It is a cosmopolitan city where the economy, people, and ideas have blended together with the socio-political culture to give it a unique character. The city is full of historical monuments and palaces and is therefore also called the “The City of Palaces”. Its glorious history dates back to 1690 when it was selected by the British for their trade settlements and they also made Kolkata the country’s capital before independence. The site was carefully chosen by the British as it was protected by the Hooghly River on the west, a creek on the north, and by salt lakes about two and a half miles to the east. On arrival at Kolkata airport, you will be received by our representative and transferred to Kolkata hotel. After check in and a bit relaxation, proceed for half-day sightseeing of Kolkata which includes St. Paul’s Cathedral & Victoria Memorial Hall. You will drive past General Post Office, Shaheed Minar, Eden Gardens, Akashvaani Bhawan, Howrah Station, Writers’ Building, Governor’s House, Ghat of Ganges, High Court, Maidan, Town Hall, Fort William, Race Course and Lal Dighi. 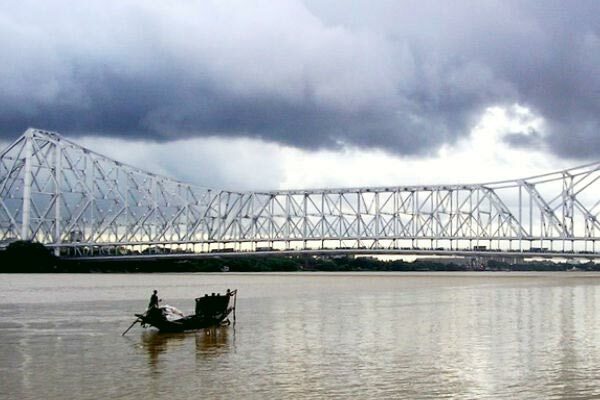 During the course, you will drive over Howrah Bridge and Vidyasagar Bridge. You can choose to visit either Shanti Niketan or National Library. Later in the evening return to Kolkata hotel for overnight stay. A pleasant and exotic excursion awaits you this morning. Have early morning breakfast in Kolkata hotel and depart for Bishnupur. Bishnupur is a village town of Bankura district of West Bengal province of India. Bishnupur was found by king Raghunath 1 of the Malla dynasty. It flourished as the capital of the Mallas till the early 19th century. Since there are no stones available in the area and in the proximity, the traditional building material used here was brick. 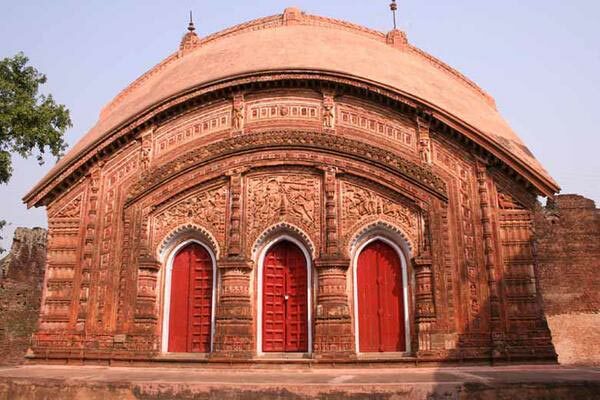 The exquisite craftsmanship of the terracotta artisans is evident in the terracotta temples of Bishnupur. Facing a shortage of stones to build temples, the Malla kings built grand terracotta shrines to celebrate their love for Lord Krishna. The distinctive architecture has incorporated various styles from the neighbouring regions. Bricks and terracotta along with features like the curved “Bangla” roof have been blended with multi-lobed arches. The potters here derive their inspiration from the glorious history of kings and their royal and common subjects. Bishnupur is also known for silk (tussar), particularly the Baluchari sarees. Woven on unusual ‘punch-card’ looms, these sarees have episodes from the Mahabharata and Ramayana woven into the border and pallu. After visiting Bishnupur, return to Kolkata to spend evening in leisure and night in the hotel. Having scrumptious breakfast in the hotel, depart for Kolkata airport to board flight for your onward destination. On arrival at Mumbai airport, move to Mumbai International airport to board flight for your onward destination.